A pair of hand coloured copper engraving by James Pollard with aquatinting by Reeve and Himeley first published in London in 1831 and 1825 respectively but these impressions slightly later, circa 1850. Best known for his equestrian depictions of race meetings, horses, coaching scenes and hunting, Robert Pollard occasionally ventured into other areas. 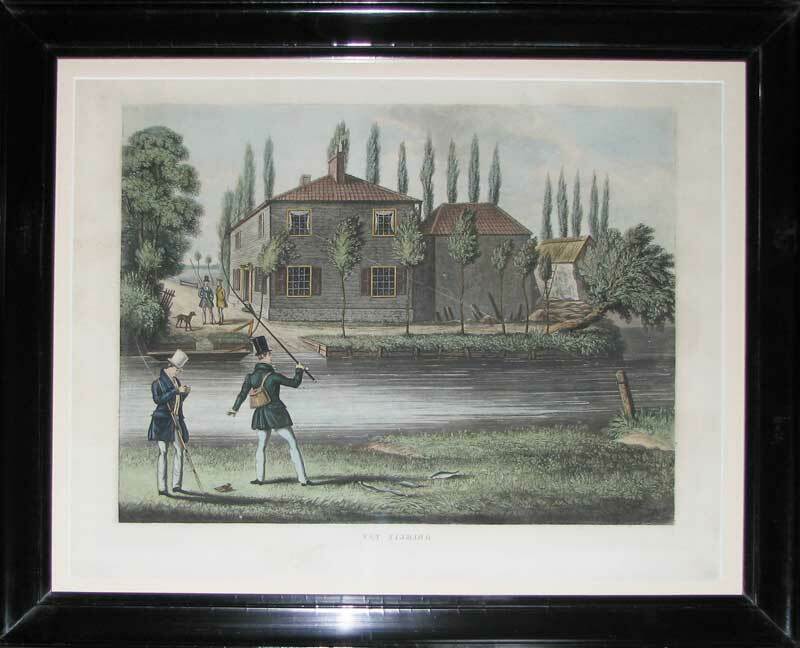 These charming angling scenes are amongst a much rarer oeuvre and give us a glimpse into a pastime that was becoming increasingly popular in Regency and early Victorian England. 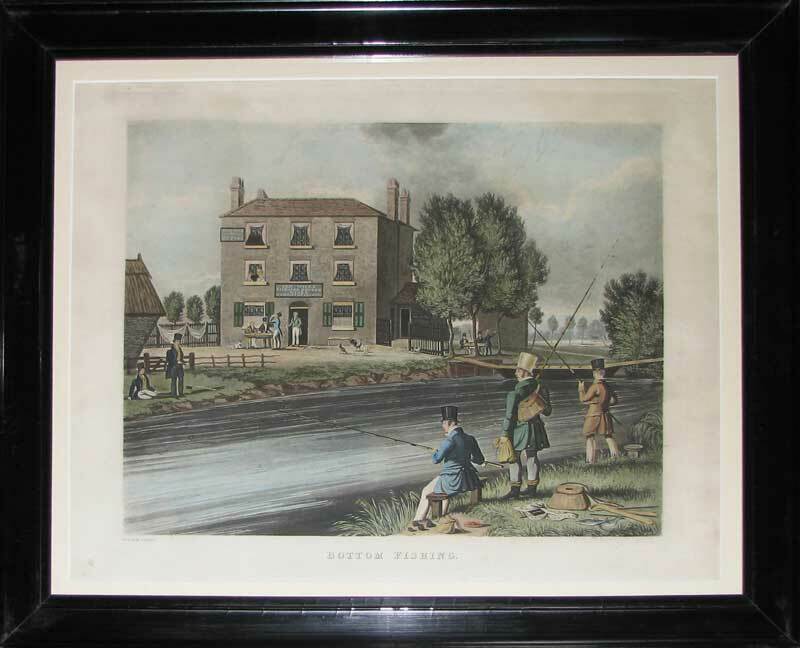 In Bottom Fishing (or legering as it is more commonly called) a group of anglers drop their bait deep into the water outside a very inviting looking Whitbread pub. Several fish have already been caught but some of the group have decided to repair to the comforts of Ben Wick's establishment and try out the local beer. In Fly Fishing the mood is more serious and there are no such distractions!